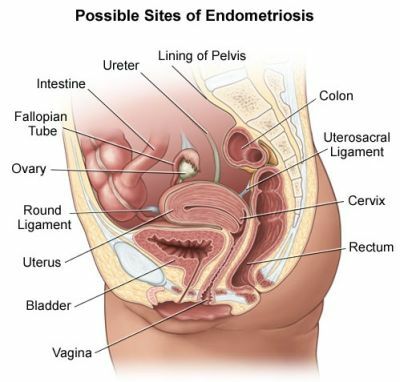 There are various surgical techniques and procedures for the treatment of endometriosis. These are usually dependant on the skills, training and experience of your surgeon. Additionally, the type of surgery you are offered depends on the stage or seriousness of your disease. The different types of surgery can also depend on the type of equipment that your surgeon prefers to use. The most common surgery for endometriosis is Laparoscopy which is the procedure used to diagnose the disease, during which your surgeon may be able to remove endometriosis cysts, growths and adhesions. A laparoscopy surgery uses various types of equipment, one of which involves laser laparoscopy. Laser laparoscopy refers to various types of laser equipment which are used when performing a Laparoscopy. The word laser is an abbreviation for 'light amplification by stimulated emission of radiation'. Various substances give out a very thin beam of light when they are stimulated by an electric charge. This beam of light can then be controlled using mirrors, and directed down a laparoscope very precisely on to one area to burn away or vaporise endometrial tissue. These lasers are so accurate that it is possible for them to cut grooves into human hair. Because they are so precise, they cause no damage to surrounding tissues during treatment. KTP (potassium titabyl phosphate) laser - penetrates deeply and is effective for treating large, deeply embedded cysts which are difficult to get at. What happens during laser laparoscopy? As well as the two usual cuts which are made during a laparoscopy (through which the laparoscope and the handling instruments are passed) two more tiny incisions are made on either side of the abdomen (though this may vary from one surgeon to another), below the bikini line. One is for the laser and the other for the venting devise which allows waste-gases and tissue out of the abdomen, and through which fluid is passed to wash out the cavity. The laser is then used to divide adhesions, vaporise deposits of endometriosis, drain cysts and improve fertility by reconstructive surgery. What are the advantages of laser laparoscopy? 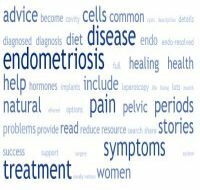 Note: Laser laparoscopy does not increase chances of your surgeon finding all the endometrial implants and deposits, so the risk of endometriosis returning are the same as with conventional surgery - but healing is quicker and there is much less risk of adhesions being caused by the actual operation. A Laparotomy is a major operation to open the abdomen, remove endometrial sites and correct any other problems with the reproductive organs. This operation is not as popular now with the development of the Laparoscopy. This procedure is done when the endometriosis is more extensive and involves more of the abdominal cavity. It involves opening up the abdominal cavity because the work cannot be done through a tiny incision as used in laparoscopy. When endometriosis has affected the appendix, bladder, bowel or kidney, for example, it may require special surgical techniques only practised with Laparotomy. This procedure requires a longer stay in hospital and a longer recovery time. After a general anaesthetic, a 10 to 15 cm cut is made below the bikini line. Any endometrial cysts and patches are removed, and adhesions are separated and removed if possible. Various surgical instruments are used to perform the different procedures during the operation. This type of operation is more invasive firstly due to the larger opening through the abdominal wall, and trauma to the abdominal cavity may be greater due to the amount of work your surgeon may need to do. The operation may take longer, which requires being under anaesthetic for longer. Microsurgery is a relatively new technique which involves special teflon-coated metal tools which do not cause abrasions and adhesions because of their non-stick surface. Incisions are made with a hot wire which cuts as well as seals, and the ‘debris’ is then removed by suction. The procedure is highly methodical involving very neat stitching, which works well for separating adhesions and not replacing them with new ones. Sometimes artificial patches are used to prevent organs sticking together again. The other advantage of this method is that there is slightly less of a risk of infection occurring afterwards. Neurectomey - A surgical procedure to cut or block the nerves that transmit the pain of the disease.